Review: A true life story of a dying mother’s life lessons to her husband and sons she left behind. Based on the best-selling novel by St John Green. The only thing I found was that it was far too long for what it actually needed to be. Rafe Spall and Emilia Fox were both brilliant but found that the two boys in the film stole the show and were incredible. All the characters were convincing and you believed in them. 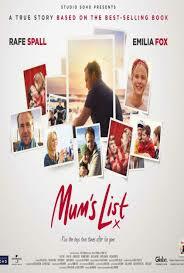 The film is uplifting and at the same time heartbreaking. It is also a very honest and charming film. It must have been really difficult to make as the subject matter is so sensitive and can sometimes be hard to talk about and to get it so right.